For many, money is a mystery. It’s not the numbers that are complicated — the math behind wealth-building is shockingly simple — but it’s the mental baggage that bogs us down: the psychology, the emotions, the discipline, the peer pressure. While the majority of Americans struggle with their personal finances, the basics of business are baked into our national subconscious. We all get that in order to survive and thrive, a company has to make money. What most people fail to grasp, however, is that the same concept holds true for household finances. My brief guide to financial freedom has one goal: To teach you the fundamentals of financial independence. If you implement the ideas in this book, you will build wealth. But this is no “get rich quick” scheme. These concepts are time-tested (and math-tested) methods for managing money. They’re the very same techniques that quiet millionaires have been using for generations to accumulate cash and retire early. I've created a PDF version of this guide because I want every Money Boss reader to have a shared frame of reference. I want us to have a shared vocabulary and a shared understanding of the philosophy behind this site. With this groundwork laid, we can move on to deeper discussions of financial freedom. If you download the guide, can you do me a favor? Please drop a line if you spot any errors (such as typos or misinformation) or if you find something that's broken. Microsoft Word and I are bitter enemies. I'm sure that evil demon has done something to tamper with my handiwork. If you're not a PDF kind of person, you can access the material from the crash course in one of two other ways. If you sign up for the Money Boss mailing list (via the sidebar or any other link), you'll receive the content in ten weekly installments. 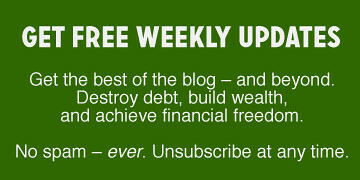 Note: If you'd like to receive the ten-week crash course but not the weekly email updates, let me know when you sign up. I can manually remove you from the update list. Similarly, if you want weekly email updates but not the ten-week crash course, tell me. I'll manually remove you from the follow-up series. Also of note: Earlier this week, I was a guest on The M.O.N.E.Y. Show with J. Money and Paula Pant. This is one of the best interviews I've ever given. If you're a podcast kind of person, you should check it out. Finally, I wanted to celebrate the fact that ten years ago today, I launched Get Rich Slowly. I've been reading and writing about money for a decade now! There are 11 reader responses to "The Money Boss Manifesto: A Brief Guide to Financial Freedom". Happy 10 years! Life is good! Hey, you’re in Nashville! That’s where I live! Make sure you eat some hot chicken (Prince’s if you want authentic). Awesome – can’t wait to read! The best solution for a QUICK fix is to SLOW down. Think it applies appropriately to the slow and steady wins the race approach to wealth building. PS – loved the podcast with J and Paula! Really cool project and ideas J D. I’ve read all of your articles already, but it’s so cool you are taking this to the next level. Free is right up my price range! Seriously, thanks for sharing your brain power. Sharing really IS caring. This is an amazing compilation of your teachings – thank you!!! I’m looking forward to sharing it with my colleagues through our company intranet. Thank you so much for making this freely available in so many formats. I’ve enjoyed your growth as a blogger and thinker. You’ve definitely impacted me. 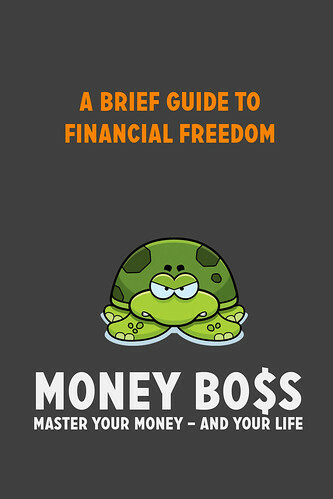 Just finished reading your brief guide to financial freedom and it was really, really, spectacular! The guide is truly filled with so many unique financial nuggets that everyone can take lessons from it. I especially like your 6 stages towards financial freedom. Very cool! That podcast actually brought me to your site. It was a fantastic interview, and it made me think a lot about what happens *after* one becomes financially independent — and why am I not doing those things now anyway? Awesome site. Just downloaded it. Mind if we share your page with our readers?